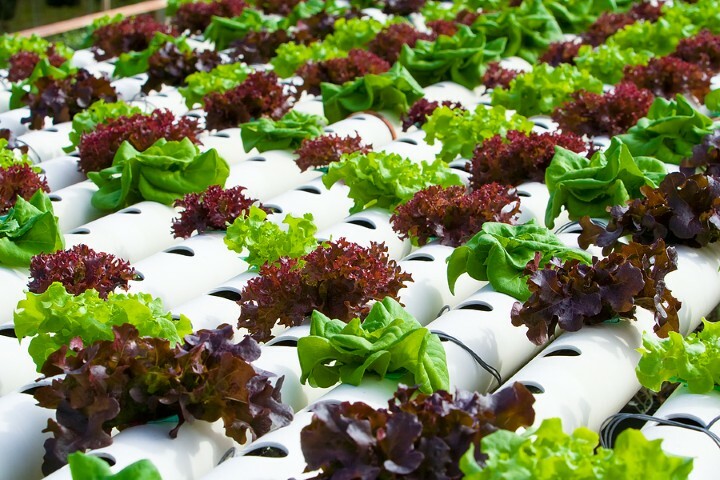 These are the most commonly used type of aquaponic systems. Media filled beds are the simplest form of aquaponics, they use containers filled with rock medium of expanded clay or similar. Water from a fish tank is pumped over the media filled beds, and plants grow in the rock media. 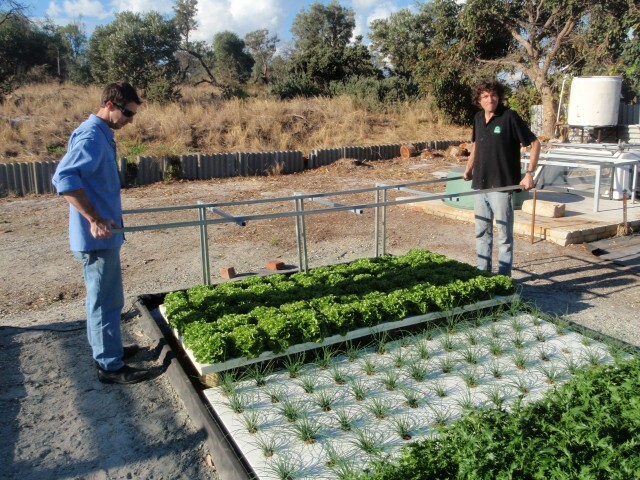 This style of system can be run two different ways, with a continuous flow of water over the rocks, or by flooding and draining the grow bed, in a flood and drain or ebb and flow cycle. Nutrient Film Technique is a commonly used hydroponic method, but is not as common in aquaponic systems. In NFT systems, nutrient rich water is pumped down small enclosed gutters, the water flowing down the gutter is only a very thin film. Plants sit in small plastic cups allowing their roots to access the water and absorb the nutrients. NFT is only really suitable for certain types of plants, generally leafy green vegetables, larger plants will have root systems that are too big and invasive, or they become too heavy for the lightweight growing gutters. Deep Water Culture, works on the idea of floating plants on top of the water allowing the roots to hang down into the water. This can be done in a number of ways. This method is one of the more commonly practiced commercial methods. DWC can be done by floating a foam raft on top of the fish tank, however a more common method is to grow the fish in a fish tank and pump the water through a filtration system, and then into long channels where floating rafts filled with plants float on the water surface and extract the nutrients. Which Style is Best Suited to Me? So there are the basics of aquaponics, it really can be as simple or as complicated as you like, if you want to start off small and simple take a piece of polystyrene, cut some holes in it, stick some mint cuttings or water cress cuttings through the holes, and float it on the surface of an aquarium or pond, within no time you’ll end up with a mass of floating herbs, and you’ll have cleaner water for your fish. 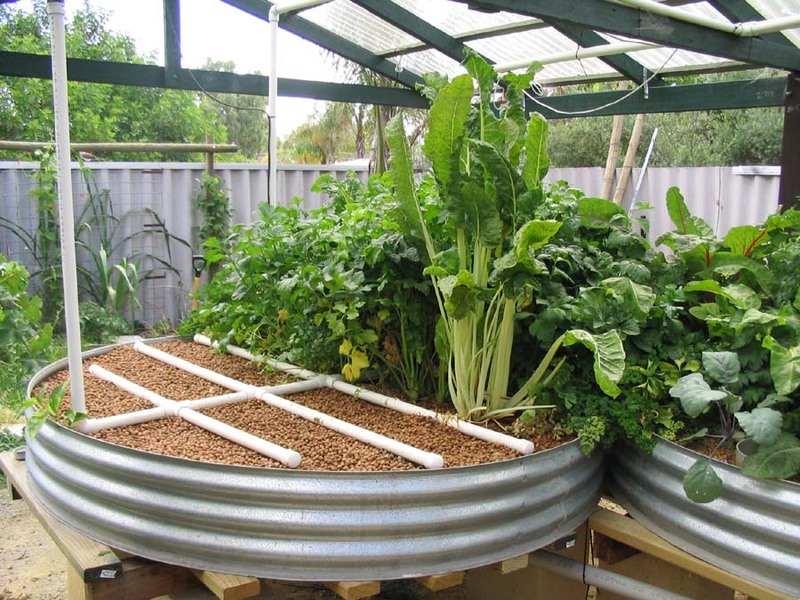 Through lots of experimenting over the years, and through the trials of members on the online discussion forum, the flood and drain media based system, has been found to be the most reliable and the simplest method of aquaponics, especially for beginners. It can be done very simply using a wide range of different containers. The flood and drain media bed system, also requires minimal maintenance. We are going to concentrate on the media bed style of system, you can mix different styles of system but for the moment just straight media filled beds will do. Even with just straight media beds there are a number of different ways you can run the system.